Dwyane Wade has worked his way to legend status over the course of his decorated NBA career. Follow his journey and you will experience the thrill of victory and certainly the despair of defeat. 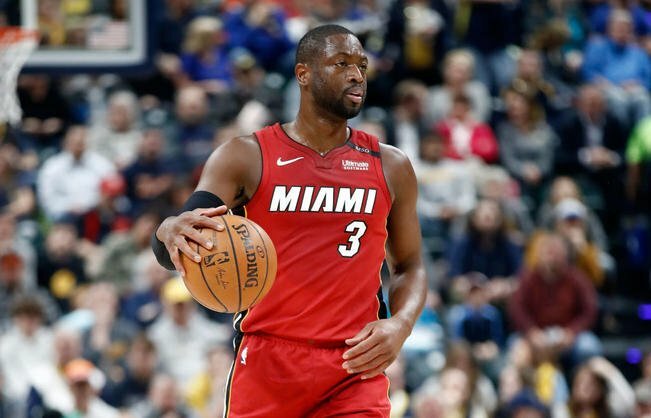 Even if you’re not a basketball fan, or even a Miami Heat fan, you still have to admit that Wade has been one of the most notable players in modern basketball history. It’s the year 2019 at the time of writing, just in case someone reads this in 100 years. Today (9 April, 2019) Budweiser released an emotional four minute promotional video featuring a project Wade has been working on this season as he prepares to retire. As the final games go by, he has been swapping jerseys with other basketball legends who he respects such as Lebron James and other giants. This is reportedly to decorate a wall of his home with the jerseys as a nod to these players and a way to remember his own career. I’ll spare you commentary on the obvious games at play here as Budweiser seeks to associate its brand with greatness in a classic marketing move. Within one day the video has already amassed over one million views on YouTube. No small feat. What’s interesting is that the video focuses heavily on the impact Dwyane Wade’s career off the court. One could almost say it is celebrating his legacy, more than his career. Yes, he is an impressive, talented athlete, but his work for humanity will ripple through history long after some new superstar player takes centre court. To be clear, this is not suggesting that Wade is some flawless human, but all things considered, he seems to have gotten a number of significant things right. In the video we see people paying tribute to Wade’s legacy by giving him their own jerseys. A young lady offers her graduation regalia to express gratitude for a full college scholarship from Wade’s foundation. A young man brings the jacket he wore to his first interview after Wade’s words inspired him to rise above his circumstances. Wade’s own mother lays her robe in his hand to acknowledge how his support helped her through addiction and prison. I watched the video a few times including one time on mute to minimise the effect of the emotional cinematic music. It gave me pause. Could this be it? Is this the goal, or at least a pretty good version of it? When did Wade switch from building a career to building a LEGACY? What events made him realise that his work on earth is beyond basketball? More importantly, what will it take to trigger us to look beyond money, clout, luxury and power, to start carving out a legacy that causes ripples and waves in places and people we never imagined? A common aspiration among people now is to become an “influencer”. In its lowest, but most widespread form, success in this path is judged by the number of followers and likes one gains on social media. It’s a flawed measure of perceived attention. A digital currency of sorts. Consider this. Perhaps the Wade model is more appropriate for the term influencer. Rather than building a career around how much attention people give them, real influencers should be measured based on how much attention their work gives to other people. Should we do like Dwyane? How can you start transitioning your mindset from career to legacy?